Just un remenber about the ToDoList ! But as it said here « viewtopic.php?t=5537#p14905 » : if getting a File Version column means make an idle everything: don’t do it! 2/ An other interesting option would be to ignore folders at the beginning of results when sorting by path. In any case, Thank you for this great program! In short, no credible competitor for now! Re: Just un remenber about the ToDoList ! Sorry this is taking so long..
You will be happy to know I have added a "File Version" column for the next major version of Everything. There is a large performance cost with mixing files and folders in a sorted result list. Everything has two separate databases, one for files and one for folders. I did briefly explore this a few weeks ago.. 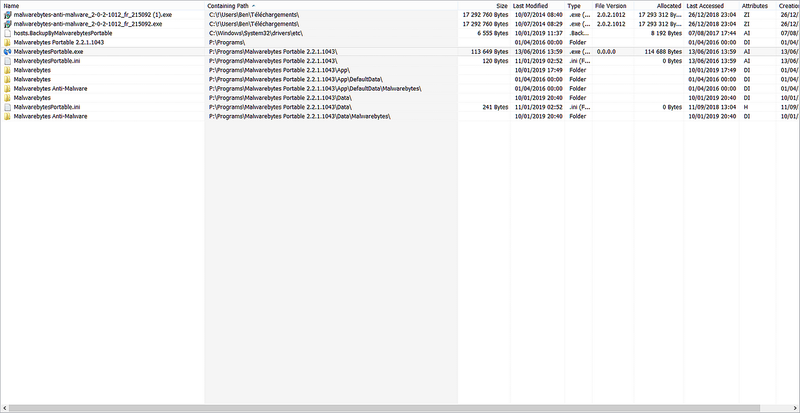 I still need to index folders as folders internally to build full paths. So, there's some additional memory usage and CPU usage to maintain the additional file indexes. True folder indexes would be hidden, only the folders indexed as files would be shown in your results. Showing folder sizes would require some attention. I may add a hidden option to trial this for the next major release.